Apparently, the two minutes my car wanted to occupy this space would not allow the necessary distance between potential pedestrians and the bumper of my car. Day after day she employed her formidable scowl and gestures to communicate: don’t even try it. I know this, because I did try it (more than once, twice, or three times, I confess). Eventually, I conceded the point, and moved on to other drop-off tricks. Nevertheless, part of me wanted to scowl at her each morning when I passed. But that was six years ago. Six years, three kids, and over one thousand morning drop-offs. Out of that approximately 1,080 early, snowing, freezing mornings, she has been there every single day. Faithfully putting herself in the path of trucks and cars, ushering hundreds of children safely across the busy streets and into the school yard. Now when I pass by her post, I see a hero. A normal woman serving her community every single day, rain or shine (or more likely, sleet or hail). She has earned my affection and mad respect. Six years, three kids, and over one thousand school days have unveiled countless heroes at our school district, to be honest. The superintendent, the principals, the teachers, the families. Each investing time, money, and energy into taking the strengths and weaknesses of our particular community and turning it all into something that makes each child stronger and better. When my family first moved to this area, we were warned: don’t send your kids to the public schools. No matter where I was—walking down the street, shopping at the store, chatting with neighbors in the yard or at church—friends and strangers alike warned me about the “failing public schools.” Homeschool or private school, they didn’t care what I did; but not the public school. Have you seen the test scores? My face probably communicated plenty, but sometimes I found the grace and tact to tell this crowd of strangers and friends that we chose to move to this community largely because of this school district. A quick glance at the population demographics and test scores shows a dim picture, it’s true. A high percentage of our children come to kindergarten fluent in Spanish but with little exposure to English. Much of the population is well below the poverty line; children come from nutrition-scarce households, supported by parents who work day and night to keep a roof over their heads but for whom buying computers, tutoring, or enrichment activities is out of reach. Many of these adults have been working to support the extended family since adolescence, and were never afforded the opportunity to attend high school or, in some cases, finish primary school—adding a formal education gap to the language barrier. As a result, the elementary test scores are low. Because the families in our community are largely minority, immigrant families, working long hours for modest incomes, the standardized tests tell a scary but incomplete tale. In reality, this benchmark reflects only the struggle of the children attending, not the proficiency of the faculty and administration—or an indication of the education my own children receive. What are we really wanting for our children when we assess test scores: a good education, or a school full of children who look and live like we do? 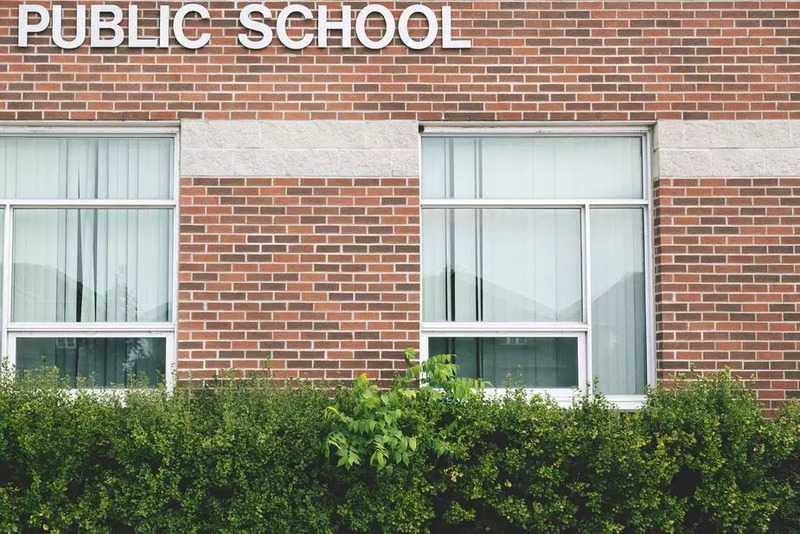 There is another way to measure the effectiveness of elementary schools, one that takes the population into account and actually measures growth rates. Because, of course, the success of a school is in its ability to take all children from here to there—not in its ability to attract children who are already most of the way there. By this measure, our school district takes children, on average, through six grade levels of advancement in the space of five years. That’s not failing: that’s overachieving. In fact, our district is in the 97th percentile of achievement, by this standard. That’s because, in our community, we have excellent schools, qualified teachers, vision-casting administrators, and committed parents—even if the standardized tests aren’t equipped to measure these things. Objectively, our school district excels at moving children forward—no matter their individual struggles, needs, or gifts. But subjectively, my children benefit in countless ways because their education happens specifically here. They will leave these school years not only proficient in the “three Rs,” but bi-lingual and bi-cultural. Rubbing elbows each day with friends with radically different histories, my children develop a sense of self-awareness, other-awareness, empathy, and admiration. They know the world does not all look like they do, and that a certain privilege comes with their background—and a certain responsibility comes with that privilege. They know how to befriend and understand someone whose life is vastly different from their own. They know through personal experience the strength of diversity. On Halloween six years ago, when my oldest was in kindergarten, I had just recently given up my stand-off with our crossing guard. As I passed her that morning, as I do every day, I noticed that she was dressed as a goblin from head to toe: from her green made-up face to goblin shoes, she had taken on the part perfectly. She was 100 percent all-in for the kids…and she has worn this costume every Halloween since. Each October 31st when I see her ushering little fairies and Jedi across the street, I wish I could double-park my car illegally one more time, and run over to give her a solidarity fist bump. Our district looks rough on the outside, but it is full of committed, hardworking community members. We love our children, we invest in this community, and we are getting it done. THESE WORDS BROUGHT TO YOU BY: Catherine McNiel, who writes to open eyes to God’s creative, redemptive work in each day—while caring for three kids, two jobs, and one enormous garden. Catherine is the author of Long Days of Small Things: Motherhood as a Spiritual Discipline (NavPress 2017). Look for her second book (NavPress) in 2019. Catherine loves to connect on Twitter, Facebook, Instagram, or at catherinemcniel.com. This entry was posted in parenting, Passing Notes and tagged Passing Notes, public schools, school. Bookmark the permalink.